Most people get implants after extractions – usually because they’ve had teeth which were securing the denture and now they have nothing holding it. 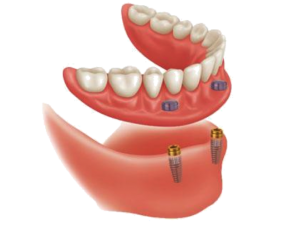 At this point, implants are the only alternative to secure the denture. Dental implants can be used to secure full and partial dentures. These implant anchors allow you to stabilize and secure your dentures by connecting them to the jawbone.